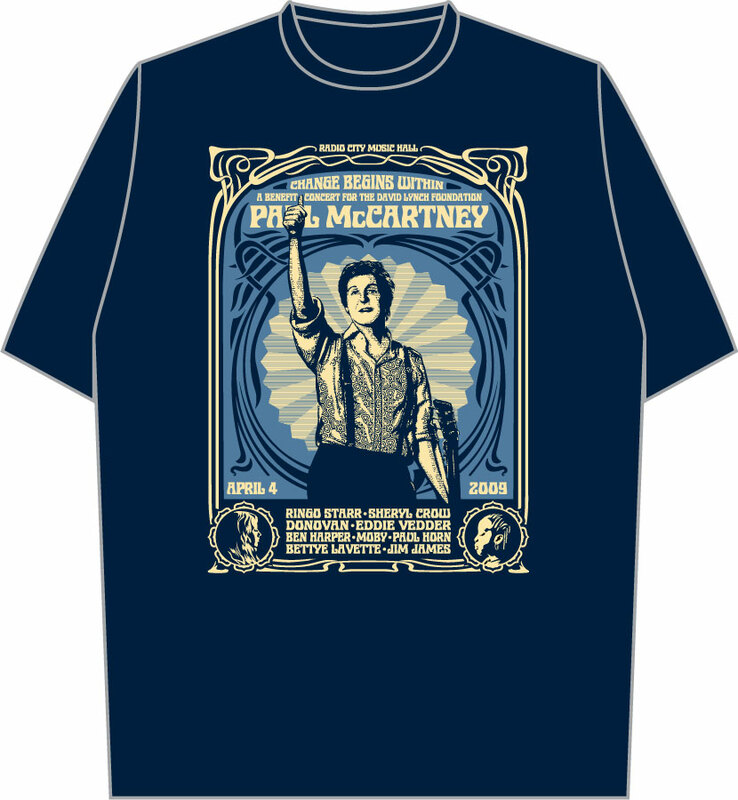 Original Change Begins Within benefit concert shirt designed by Shepard Fairey. 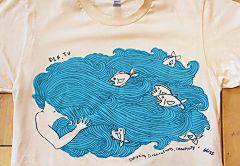 This design, by Emilia Olsen, is hand-silkscreened by Yellow Elephant on a soft American Apparel tee. 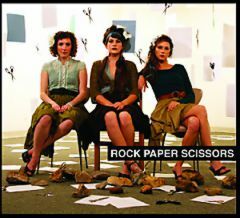 Debut album from the band Rock Paper Scissors. 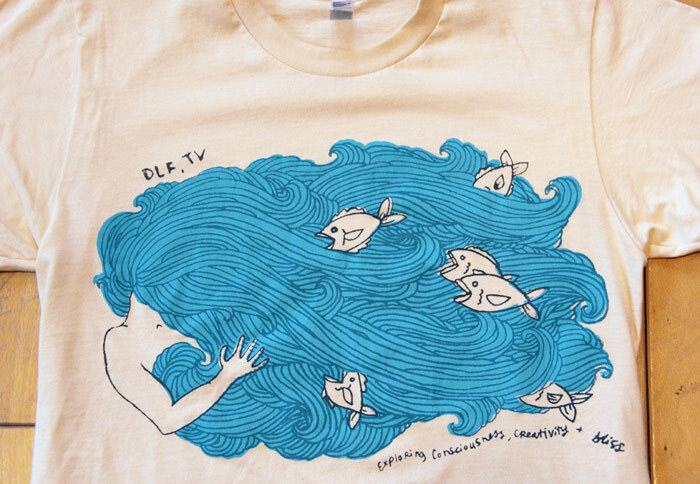 Watch the DLF.TV profile on Rock Paper Scissors for a live sample of the album. 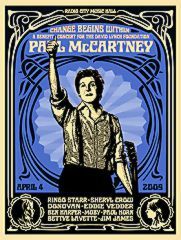 Original Change Begins Within benefit concert poster designed by Shepard Fairey in blue. 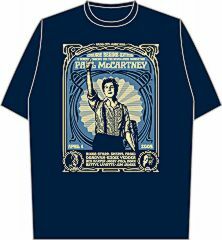 One of just 600 blue posters signed by the artist and numbered. Original Change Begins Within benefit concert poster designed by Shepard Fairey in red. 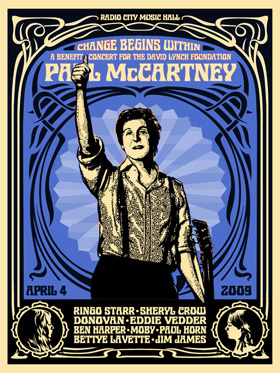 One of just 600 red posters signed by the artist and numbered.